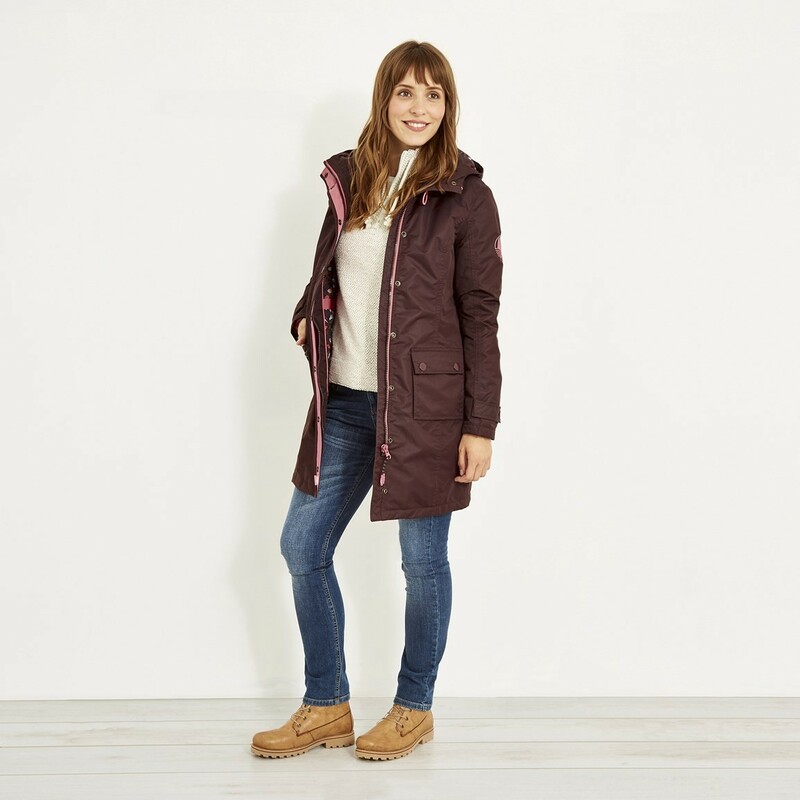 As the weather turns turbulent this season and the inevitable downpours arrive, make sure you're prepared for anything with our brilliant Amadeo waterproof jacket. 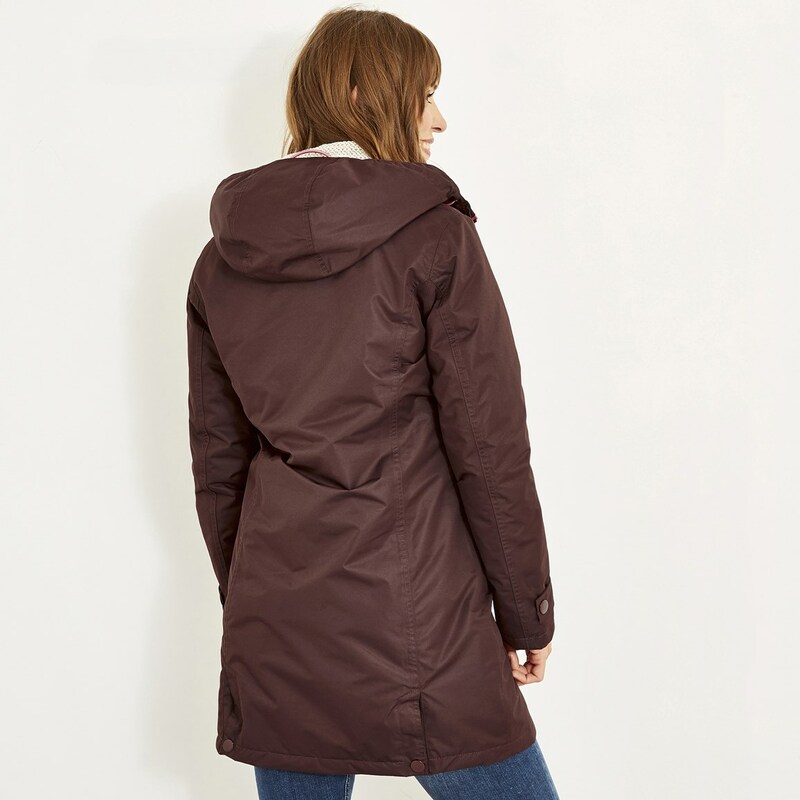 We have designed and produced this fully waterproof jacket featuring clever breathable coating with taped seams. 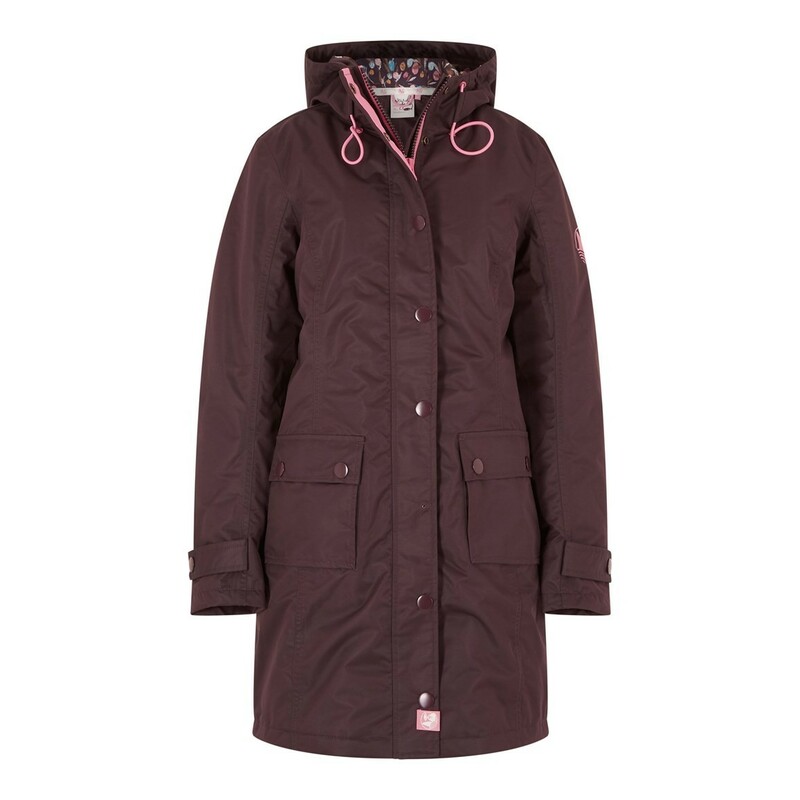 Fully wadded for added warmth this winter. 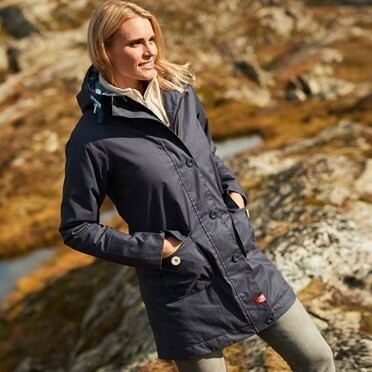 Don't let the rain compromise that well earned weekend away - choose our Amadeo longer length waterproof jacket to keep you dry and comfortable and carry on with your adventures, flip up the large print lined hood with a subtle floral motif and get out there and enjoy yourself. Lovely jacket. A good, practical length for rainy days. Yes, the fasteners make a jangling noise, but I quite like it. Fits true to size. 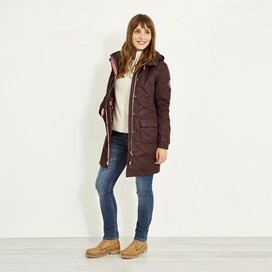 Very well made, warm, breathable and waterproof! The jacket was first class apart from the noisy fasteners. There are loose split rings within the ‘female’ side of the fastener that rattle when the fastener is not closed. I believe these are American fasteners, but I could not stand a rattling coat and the top fasteners would not be fastened all the time. 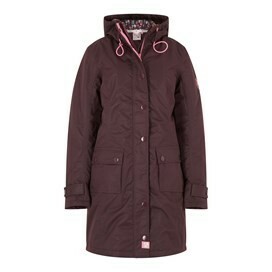 A real shame as the rest of the coat was great. 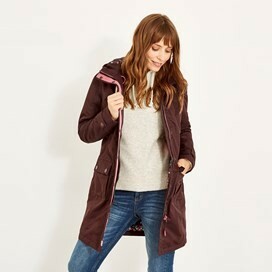 Lovely coat, but had to return as slightly tight across back, didn’t have the next size up, so unable to reorder, but lovely colour and well made coat.